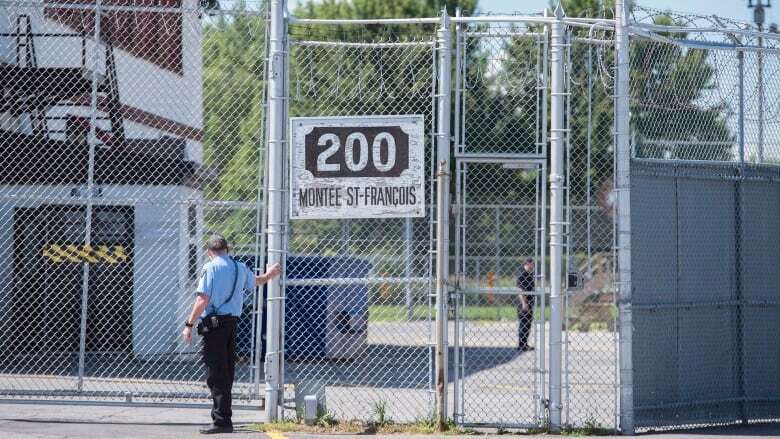 A Saudi Arabian man has been granted release, under certain conditions, from the Laval, Que., detention facility he's been held in since July 26, pending his deportation. "It was like an angel came and told me, 'You can stay with your kids and your wife,'" the man CBC is calling Omar said. "That nightmare finally disappeared." CBC News is withholding Omar's real name due to his concern for the safety of family members still in Saudi Arabia. Omar was set to be deported Wednesday morning when a United Nations committee stepped in and asked the Canadian government not to expel him to his home country. The Immigration and Refugee Board of Canada granted his release after the Canada Border Services Agency (CBSA) recommended it based on the UN's request to put his deportation on hold, according to one of his lawyers, Chantal Ianniciello. He was not present at the hearing today because he was in hospital due to a pre-existing medical condition that was aggravated by stress. He's expected to be discharged from hospital on Friday. The conditions of his release include disclosing his home address and reporting to a CBSA office four times a year. "There is a hope that the difficult part is done," Omar told CBC News. Omar came to Canada by way of Roxham Road, where Quebec and New York meet, in the spring with his wife and two sons. They all filed asylum claims, but his was rejected outright because he had withdrawn a previous claim. He tried to get his removal stayed but lost his appeal. Ianniciello said the team is now waiting to hear back regarding the request to reopen Omar's refugee claim request. "It could take between a few weeks, a few months," Ianniciello said. "We're just relieved that everything comes to a positive end." Omar will also be eligible for pre-removal risk assessment in October, one year after he withdrew his first asylum claim. Another option would be to join his wife's application for permanent residency if her asylum claim is accepted. Omar's wife was present at the hearing, and told CBC News she felt like she could finally breathe again. Omar said he hopes to be able to volunteer at an organization that helps others in similar situations in Canada. He said he plans to take his children to visit La Ronde amusement park.